The United Progressive Alliance in India, the ruling political coalition at whose centre is the Congress party, has called it “a historic initiative for ensuring food and nutritional security to the people”. By this is meant The National Food Security Bill, which was passed by the Lok Sabha on 26 August 2013. In recent weeks, criticisms of the provisions of the bill and suggestions for its amendment gathered quickly, from political parties, from state governments, from civil society and NGOs and academics, and from citizens who have followed the twists and turns of the draft legislation since 2010. How many of these have been incorporated into the bill as passed by the Lok Sabha is still unclear, but a government press release stated that ten amendments were approved. I don’t know which ten but these would be small in number compared with the scores of amendments, corrections, modifications and re-draftings suggested by groups and coalitions that have long worked for food security in India and its states. (1) The government has said that the word ‘meal’ as used in the approved bill means hot cooked or pre-cooked and heated food and not the packaged food, which was a definition that provoked many when it was spotted in the draft. This is an important amendment as it has an impact on the enormous mid-day meals (for schoolchildren in government schools) and the integrated child development services (ICDS) programmes, which reach tens of millions. The fear was that packaged food would supplant, to the detriment of the children, hot and fresh cooked meals. (2) As far as I can make out, another approved amendment gives states a year to implement the bill instead of six months. Earlier, under the ordinance (whose passage was roundly condemned), the central government was to determine the number of eligible beneficiaries in each state. Not only was this centrist in nature, it required the process by which beneficiary households were to be identified to be completed within 180 days, even though the guidelines for such identification are yet to be issued by the central government. Moreover, there has been no consultation with the states on this aspect. (3) There is some reference made to the states determining their approach and measures towards implementing the bill, which will be (or may be) governed by “rules” that are to be drawn up in consultation with the state governments. This is important for, in the text of the Food Security Ordinance the central government reserved the right to introduce cash schemes instead of food in the Rules of the proposed legislation. This had signalled quite clearly its longer-term agenda of dismantling the system of procurement of grain from farmers at notified minimum support prices. Food security bill: Is it right or fight to food? 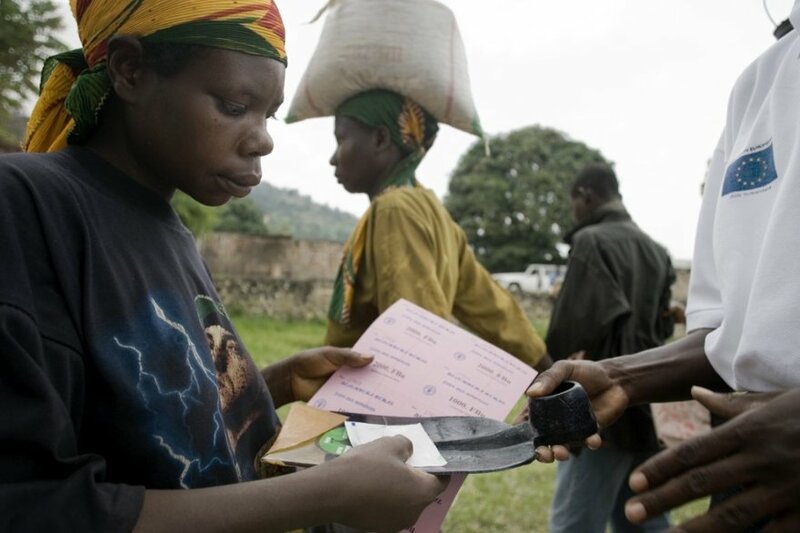 Food Security a ‘historic opportunity’ or mere ‘vote security’? The government has said that the Bill will cover 75% of the rural population and 50% percent of the urban population in all states, coming to an average of 67% for the total national population. This however will use (we await a full reading of the approved amendments that will clarify this matter) the methodology of the Planning Commission for poverty estimates which is to provide the basis for dividing the population between below and above the poverty line. This is the same methodology and ratios that have been soundly discredited. The point that has been made forcefully by the Communist Party of India Marxist (CPIM) is that these caps on population compromise utterly the right of state governments to decide criteria as contained in the bill. The caps are set by Planning Commission methods, not by state governments themselves. That is why the guidelines that are to be drafted – via consultation, the central government has said – by the state governments must ensure the maximum inclusion, and not the limited inclusion decided by the Planning Commission. 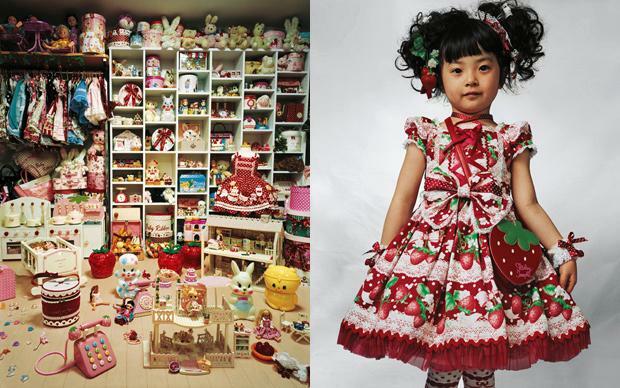 These pictures are from James Mollison’s book of photographs of children from around the world and where they sleep (thanks to The Telegraph of Britain for running an article on the book). 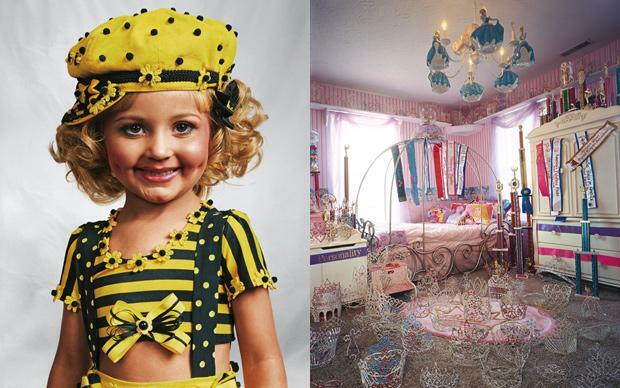 Mollison hopes his photographs will encourage children to think about inequality. 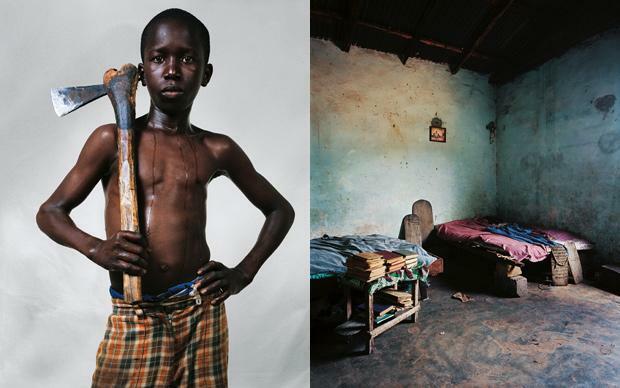 He sees his pictures as “a vehicle to think about poverty and wealth, about the relationship of children to their possessions, and the power of children – or lack of it – to make decisions about their lives”. 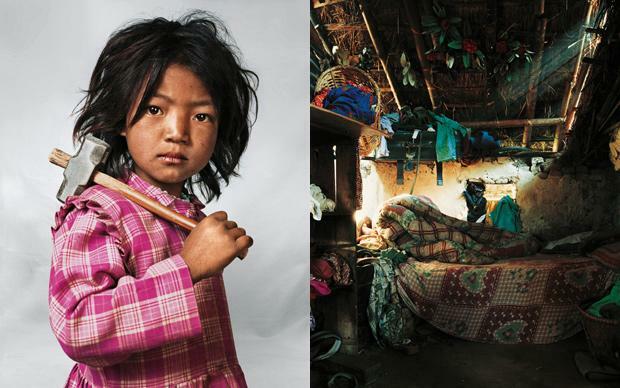 Extracted from ‘Where Children Sleep’ by James Mollison (Chris Boot). 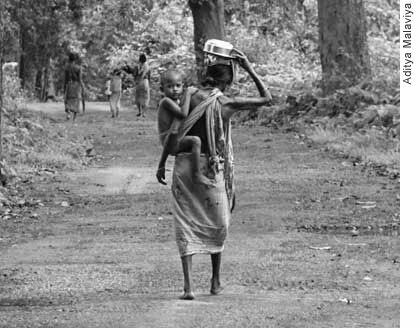 Agenda, which is the journal of the excellent development news website Infochange India, has issued its new number, themed on hunger and malnutrition. The articles in this collection are a mix of reportage from amongst the poorest rural regions of India, insightful explorations into the nature of nutrition and the change in food systems, and critical views on food and agriculture policy in India. 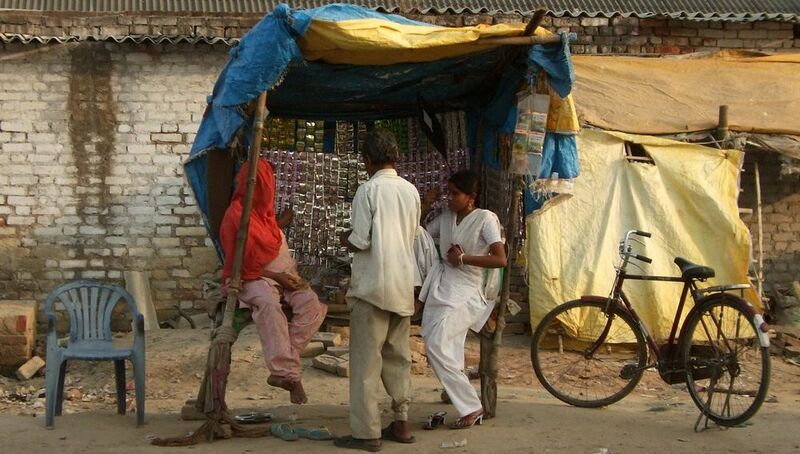 Children in India are especially severely affected. The Integrated Child Development Services (ICDS) programme is supposed to address this extreme deprivation by providing supplementary food, rations and growth monitoring through community-level anganwadis for children under the age of six years. 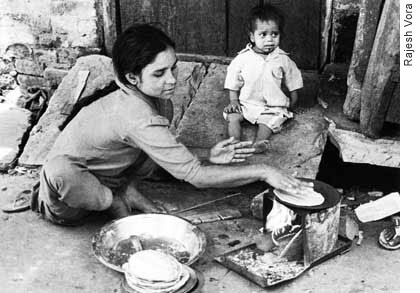 However, though a whopping 70% of children in India between six months and five years are anaemic, 74% of children under 6 do not receive any supplementary food from the anganwadi in their region. Convert those numbers into more than 100 million children who don’t get enough to eat. What individuals spend on a monthly food basket – Though the amounts spent on cereals are largely the same, there are clear differences between the spending of rural and urban consumers on milk and milk products, sugar and oil. Urban consumers spend 104% more than rural consumers on beverages, refreshments and processed foods. Approaches to malnutrition and the writ of a compartmented government – The absence of inter-sectoral programmes covering the entire life-cycle of women and children in particular and requiring coordination between different ministries such as women and child development, health and family welfare, agriculture, food processing and human resource development, is the reason why, at the start of the Twelfth Five-Year Plan period (2012-17), the fundamental causes of malnutrition in India remain as they were during the First Five-Year Plan. Micro, bio and packaged — how India’s nutrition mix is being reshaped – Crop and food multinationals, ably assisted by government, are using the ‘reduce hidden hunger’ platform to push hunger-busting technologies that best suit them — including biofortification of crops, the use of supplementation, and of commercial fortification of prepared and processed foods. 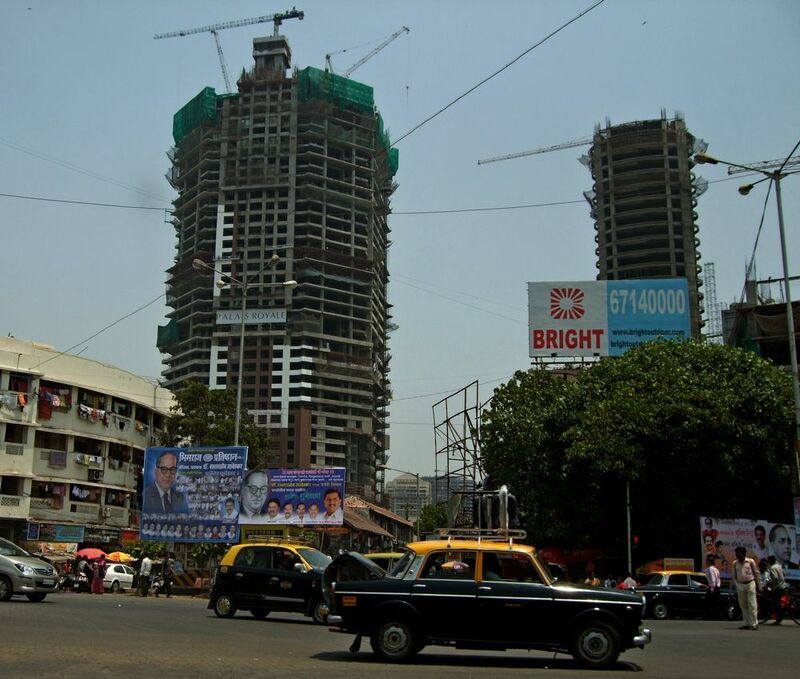 Skyscrapers under construction in central Mumbai (Bombay). These will contain luxury apartments, in contrast to the old humble labour accommodation provided for mill workers. These enormous towers have been erected on lands once occupied by the textile mills. While not as severe as the ratios of that era, the gender ratios for the rural populations of districts in 2011 will, as more data is released by the Census authorities and as the verification cycles for the smaller administration units are completed, help explain the movement of labour, the patterns of migration (with which they will be read) and no doubt support the studies on the feminisation of agriculture we are witness to in India. The 2011 data show that in 122 districts, the female to male ratio of the rural population is 1 or more (the range is 1.00 to 1.18). 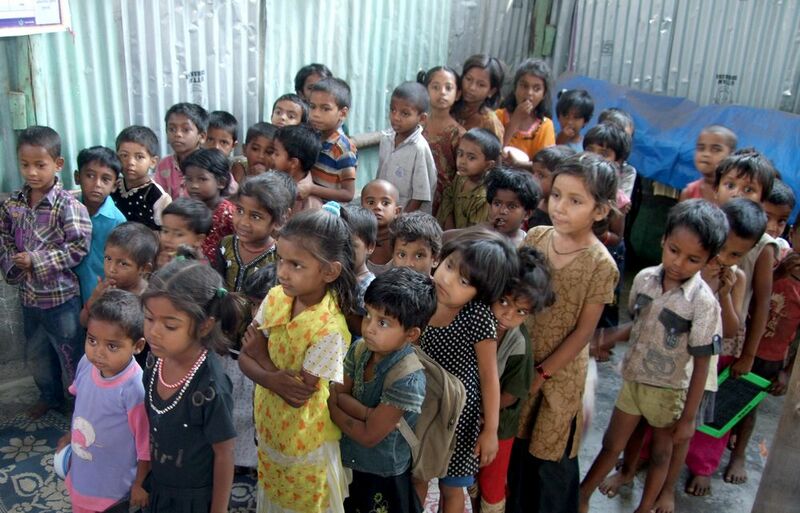 Children line up in an 'anganwadi', a child care centre, in a slum in northern Mumbai. 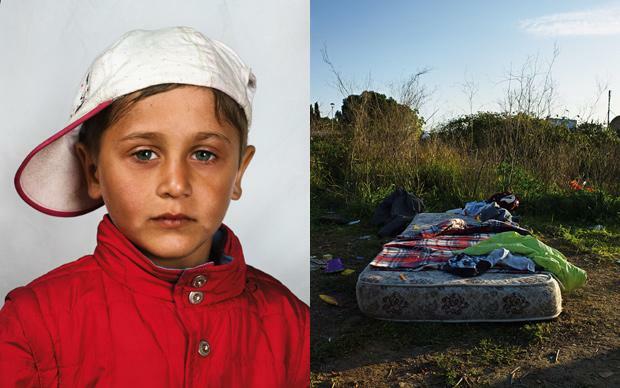 Their parents scour the nearby city refuse dumps for recyclable material, and make their living selling their finds to scrap merchants. Of the 30 districts which have the highest female to male ratios of the rural population, there are 11 in Kerala, 7 in Uttarakhand, 4 in Orissa, 2 in Maharashtra and one each in Tamil Nadu, Puducherry, Karnataka, Himachal Pradesh, Chhattisgarh and Andhra Pradesh. Thereafter, in 112 districts the female to male ratios of the rural population are less than 0.90 (the range is 0.90 to 0.67). The district with the lowest ratio is Tawang (Arunachal Pradesh), followed by Chandigarh, South Delhi, North District (Sikkim), Dibang Valley and West Kameng (both Arunachal Pradesh RP), Kargil (Jammu and Kashmir), Daman, Nicobars and Anjaw (Arunachal Pradesh). 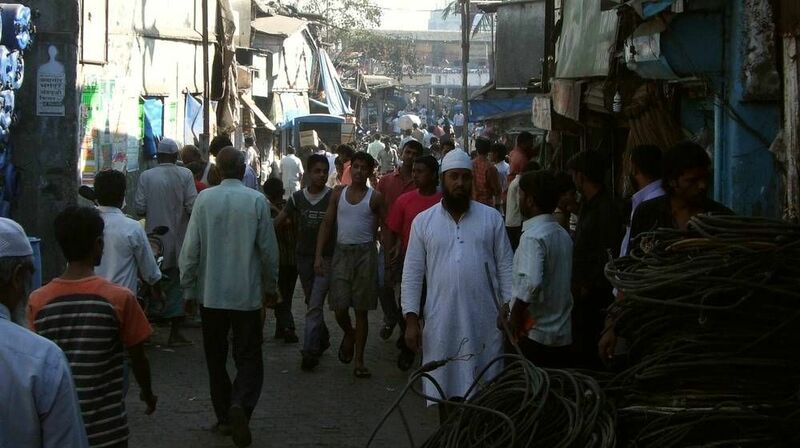 A crowded main lane in Dharavi, the slum in central Mumbai renowned for years as being Asia's largest. A hive of small business and scrap recycling, Dharavi is a magnet for migrants to the giant city. Carrying with it the potential to cause a demographic imbalance whose full import, a generation from today, we can only surmise is the gender ratio of the population between 0-6 years, that is, the children of these districts. There are 34 districts in which, amongst the rural population, the numbers of children between 0 and 6 years are 500,000 and above. That all these districts are in either Bihar (15) or in Uttar Pradesh (14) or West Bengal (5) is another outcome, over the decades since the early-20th century, of the population patterns observed in the final 50 years of colonial India. The 2011 data has shown that whether in the 34 districts with 0-6 year populations of 0.5 million, or in the top 10% of all districts (640), the rural population that is between 0-6 years old is about 90% of the district’s total child population in that category. 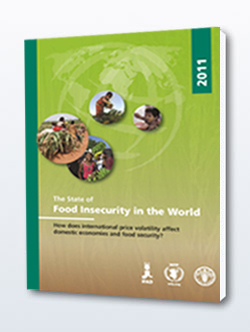 The UN Food and Agriculture Organization (FAO), the International Fund for Agricultural Development (IFAD) and the World Food Programme (WFP) have released ‘The State of Food Insecurity in the World 2011’ (SOFI). This year’s report focuses on high and volatile food prices, identified as major contributing factors in food insecurity at global level and a source of grave concern to the international community. “Demand from consumers in rapidly growing economies will increase, the population continues to grow, and further growth in biofuels will place additional demands on the food system,” the report said. Price volatility makes both smallholder farmers and poor consumers increasingly vulnerable to poverty while short-term price changes can have long-term impacts on development, the report found. Changes in income due to price swings that lead to decreased food consumption can reduce children’s intake of key nutrients during the first 1000 days of life from conception, leading to a permanent reduction of their future earning capacity and an increased likelihood of future poverty, with negative impacts on entire economies. Small import-dependent countries, especially in Africa, were deeply affected by the food and economic crises. Some large countries were able to insulate themselves from the crisis through restrictive trade policies and functioning safety nets, but trade restrictions increased prices and volatility on international markets. High and volatile food prices are likely to continue. Demand from consumers in rapidly growing economies will increase, population will continue to grow, and further growth in biofuels will place additional demands on the food system. On the supply side, there are challenges due to increasingly scarce natural resources in some regions, as well as declining rates of yield growth for some commodities. Food price volatility may increase due to stronger linkages between agricultural and energy markets, as well as an increased frequency of weather shocks. Price volatility makes both smallholder farmers and poor consumers increasingly vulnerable to poverty. Because food represents a large share of farmer income and the budget of poor consumers, large price changes have large effects on real incomes. Thus, even short episodes of high prices for consumers or low prices for farmers can cause productive assets – land and livestock, for example – to be sold at low prices, leading to potential poverty traps. In addition, smallholder farmers are less likely to invest in measures to raise productivity when price changes are unpredictable. Large short-term price changes can have long-term impacts on development. 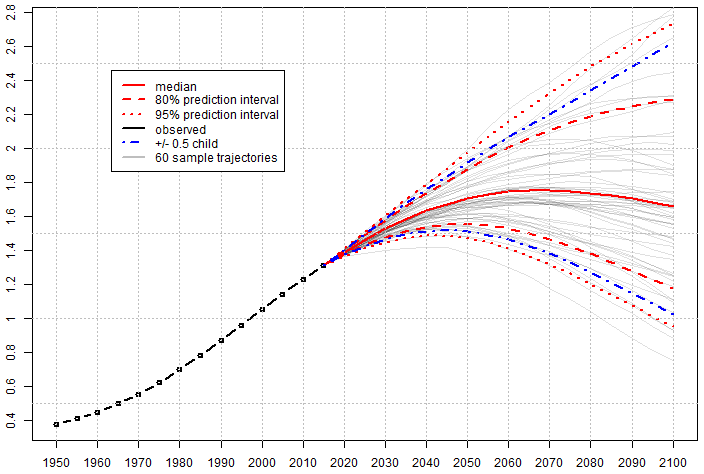 Changes in income due to price swings can reduce children’s consumption of key nutrients during the first 1,000 days of life from conception, leading to a permanent reduction of their future earning capacity, increasing the likelihood of future poverty and thus slowing the economic development process. 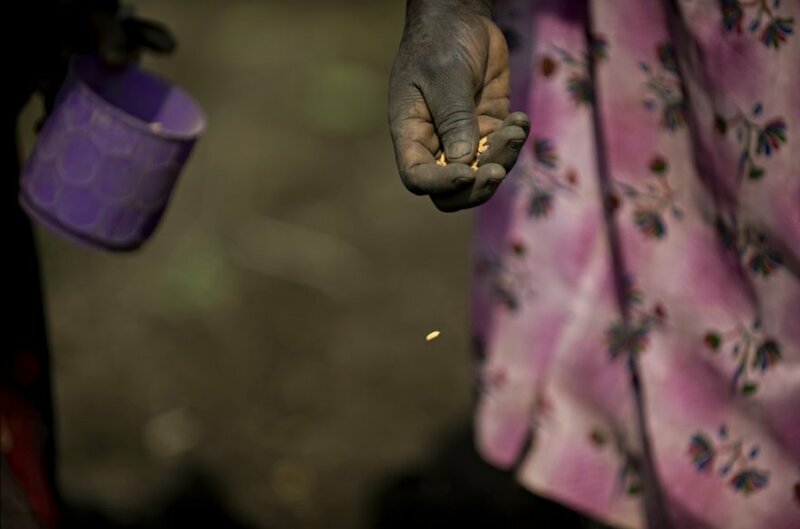 High food prices worsen food insecurity in the short term. The benefits go primarily to farmers with access to sufficient land and other resources, while the poorest of the poor buy more food than they produce. In addition to harming the urban poor, high food prices also hurt many of the rural poor, who are typically net food buyers. 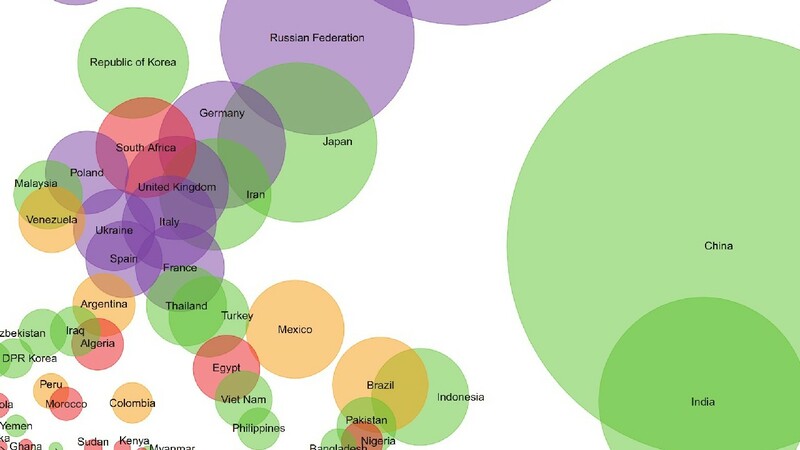 The diversity of impacts within countries also points to a need for improved data and policy analysis. High food prices present incentives for increased long-term investment in the agriculture sector, which can contribute to improved food security in the longer term. Domestic food prices increased substantially in most countries during the 2006–08 world food crisis at both retail and farmgate levels. Despite higher fertilizer prices, this led to a strong supply response in many countries. It is essential to build upon this short-term supply response with increased investment in agriculture, including initiatives that target smallholder farmers and help them to access markets, such as Purchase for Progress (P4P). Safety nets are crucial for alleviating food insecurity in the short term, as well as for providing a foundation for long-term development. In order to be effective at reducing the negative consequences of price volatility, targeted safety-net mechanisms must be designed in advance and in consultation with the most vulnerable people. A food-security strategy that relies on a combination of increased productivity in agriculture, greater policy predictability and general openness to trade will be more effective than other strategies. Restrictive trade policies can protect domestic prices from world market volatility, but these policies can also result in increased domestic price volatility as a result of domestic supply shocks, especially if government policies are unpredictable and erratic. Government policies that are more predictable and that promote participation by the private sector in trade will generally decrease price volatility. Investment in agriculture remains critical to sustainable long-term food security. For example, cost-effective irrigation and improved practices and seeds developed through agricultural research can reduce the production risks facing farmers, especially smallholders, and reduce price volatility. Private investment will form the bulk of the needed investment, but public investment has a catalytic role to play in supplying public goods that the private sector will not provide. These investments should consider the rights of existing users of land and related natural resources. The UN Standing Committee on Nutrition (SCN), a forum comprising UN agencies, NGOs and academics, has been running a campaign to influence negotiators ahead of the UN climate talks from 29 November to 10 December, in Cancun, Mexico. The effort led by the UN SCN began at the UN climate change conference in Copenhagen in December 2009, and members of the group have been attending conferences held by various sectors in the run-up to the Cancun meeting, reports IRIN. The UNSCN team lobbies to position nutrition according to the needs and interests of delegations at any conference. Experts in delegations from the agriculture sector are told that when climate-tolerant crops are discussed in the adaptation track of the talks, they need to focus on policies and practices that encourage people to plant and breed hardier indigenous varieties, grow groundnuts and other foods for communities affected by HIV/Aids, or breed fish in backyard ponds for protein. Several studies in the developing world have shown a strong relationship between the impact of natural hazards on food availability, and the subsequent effects on economic growth and the health of children. The UNSCN brief prepared for the negotiators at COP16 calls for a twin-track approach to ensure that food and nutrition security will help reduce vulnerability, and build resilience to cope with a changing climate. One of the tracks will fall under the adaptation segment and push for scaling up nutrition-specific interventions and safety nets. The other track calls for a multi-sectoral approach that includes sustainable agriculture, health and social protection schemes, risk reduction and risk management plans, and climate-resilient community-based development. The brief also suggested that money to fund nutrition interventions, or technological innovations aimed at improving nutrition, should come out of the various climate funds under the UNFCCC. 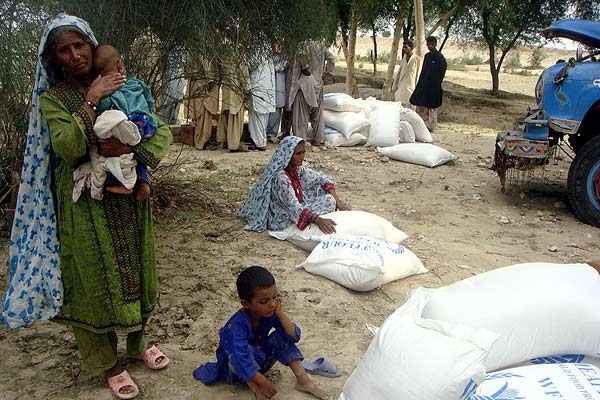 A news bulletin from the World Food Programme (WFP) describes in first person the steady rebuilding of lives taking place in Pakistan. 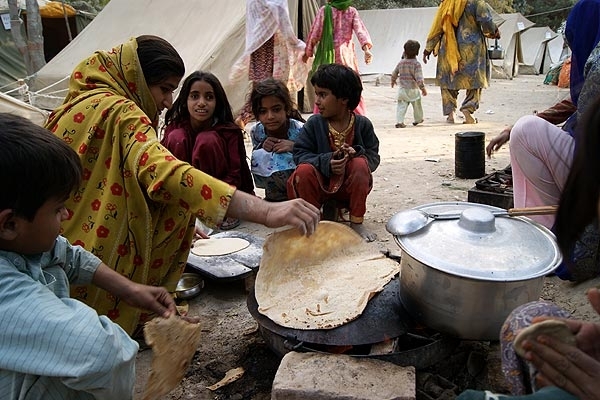 More than two months after the devastating August floods, Amjad Jamal, a WFP spokesman in Pakistan, describes how millions of people are at work reclaiming their lives with the help of a massive food assistance effort. If we were to drive across Pakistan today, from the Swat Valley in the north to Sindh or Balochistan in the south, what would we see? In the Swat Valley where the floodwaters have all dried up or receded, you would see people rebuilding their homes and replanting the many fruit orchards for which it’s famous. In Punjab, the “bread basket” of Pakistan, you’d see whole villages under construction, with a frenzy of activity in the fields as people rush to get their wheat crop planted in time. In Sindh and the sparsely populated Balochistan, there’s still a lot of standing water, with people unable to return to their homes and living in flood camps. What signs are there that conditions for the flood victims are beginning to improve? Recovery efforts are well underway in the northern parts of the country where people are working hard to get back on their feet. We’re expecting a poor harvest this season, but have high hopes for the one afterwards next summer as the flood waters have left behind a lot of fertile soil. What is the biggest remaining challenge to helping people impacted by the floods get back on their feet? Our single biggest challenge is still the sheer number of people affected. Getting help to six million people per month in a country as vast as Pakistan isn’t just costly, it’s complicated. Whereas in Swat Valley it means helping people in isolated mountain valleys store up food for the winter, in the plains of Punjab it means helping them rebuild their irrigation canals and in the southern region of Sindh, reclaiming entire farms from the floodwaters. In what part of the country is that challenge greatest? The situation in Sindh is particularly worrisome as much of the province is still under water and the farmers there have by and large missed the September planting season. In Balochistan too, the huge distances and widely scattered population are making it difficult to get to everyone. The logistical challenges there are compounded by the near constant threat of insecurity along the border with Afghanistan. Of all the things you’ve seen or heard over the past few weeks, what has made the biggest impression on you? I was recently in Balochistan where it’s extremely difficult to work because you need a security detail to do practically anything, and met a man of about my age at camp for flood victims who was there with his children. When I asked about his wife, he told me that she had died of a heart attack at the sight of their house crumbling under the floodwaters. He’d promised his children that as soon as the waters receded, they’d go back and rebuild it just like it was before the floods.